Legacy, donations, life insurance: transform your life by saving lives! Association of general interest (French law of 1908), IRHT is entitled to receive your legacy, donations and life insurance without paying inheritance tax. How it works. The donation makes it possible to transmit a property during its lifetime, through a notarial deed. The donation may concern all movable and immovable property: a bank account, an apartment, jewelry, works of art, furniture, copyrights, etc. As heir, you can donate a part or all of the goods you receive upon succession of a loved one. 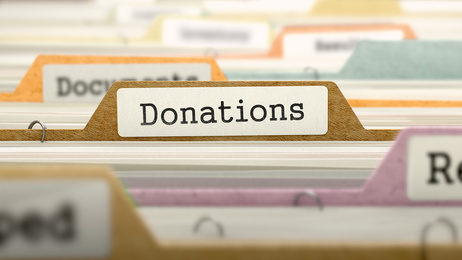 As part of an inheritance donation, our association can only receive money. The legacy allows you to choose and indicate in your will, the persons or associations to whom you wish to transmit all or part of your property. You can bequeath all types of property: bank account, securities, apartment, house, jewelry, works of art, furniture, cars, copyrights, etc. What is the impact on my legal heirs? When your heirs are heavily taxed, making a bequest to an association such as the IRHT may allow you to reduce or waive the fees payable by your heirs. Life insurance allows investing your money and predicting which person or organization will receive your capital in the event of death. The capital you have placed on a contract will be repaid in full or in part to the persons or organization you have designated. What is the impact on my inheritance? In France, funds placed on a life insurance contract are not included in the settlement of the inheritance. Don’t hesitate to contact us without any obligation!